The Cutler Family cozied up for our foggy morning photoshoot at Boeing Creek in Shoreline! They skipped through the forest, jumped as high as they could, and petted lots of friendly dogs. Inara and Gavin even had a favorite song about looking for bears in the forest... good thing we didn't spot any! When I asked about Halloween plans, Inara teased her dad that, no, he couldn't share her catwoman costume. 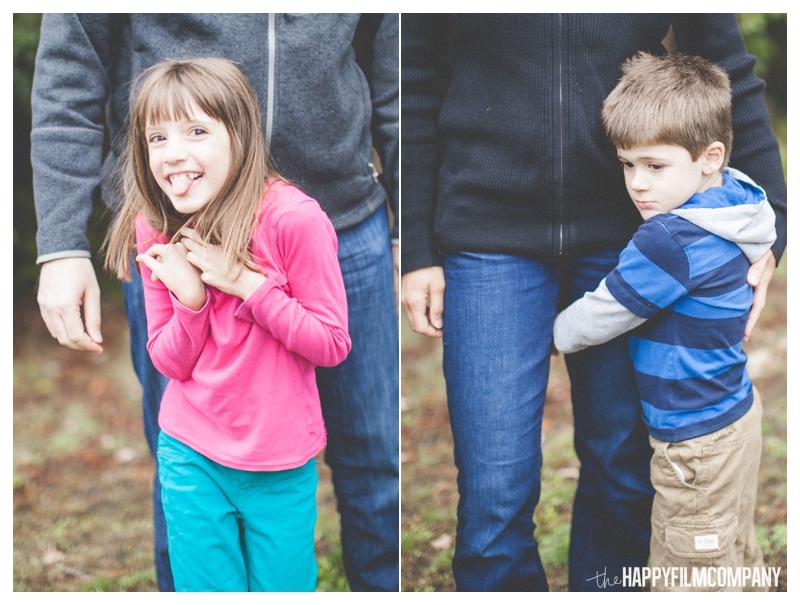 ;) The Cutler family had perfect, spooky fall weather to get us in the mood for Christmas photos. 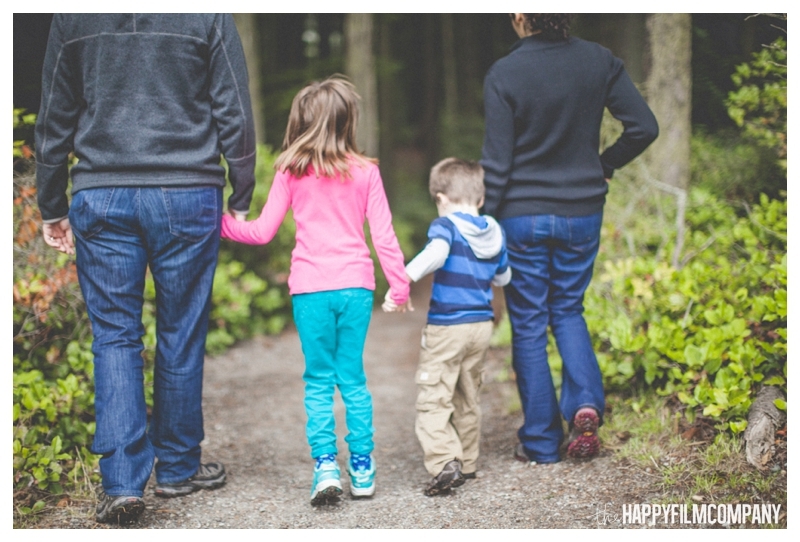 Thanks so much Cutler Family for choosing the Happy Film Company as your Family Photographer, Seattle! We hope you love your holiday photos!! Check out our last blog post: the Halvorson family's perfect pumpkin patch adventure!